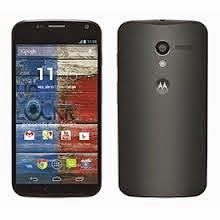 Hope you are happy with awesome smartphone Moto X like me which is from the first manufacturer of Mobile phones, Motorola. I am owning this model (XT 1052, First Gen Moto X) last six months. Before buying this smartphone, I searched a lot websites about this and got only positive reviews (except in the case of SD card memory support) but the very first reason why I brought is, Motorola was owned by Search Engine Giant Google Inc that time and now owned by Lenovo. I got many tips and tricks related to Moto X from many websites, YouTube videos and found many tips myself which are not even disclosed officially from the Motorola. Here am sharing some of them. Since getting many features day by day and Lillipop updation is on the way for Moto X, this post may be updated later. Settings -> Active Dispay. On settings, you can tell Moto X from which apps you need notifications on Active Display Screen. And by tick or untick More privacy you could tell Details on notification is needed or not in Active Display Screen. For example, in the case of messaging app, if More privacy is ticked, app will not show who send and what is the message. Little bit about Active Display Battery Usage: Active Display feature utilized very little amount of battery. And also you could stop this app at nights (your sleeping times) automatically if you are ticked Sleep at night. Touchless Control is another feature from Moto X which allows you to access your Moto wihout touching like Apple's Siri app. This app is ideal while you are driving on in home. There are four mics on the device to support this. # Tip: Tricks with Moto X Headset. When my friend got Moto X in his hand, He was surprised, is there is no call attend button on Headset of such an good smartphone? Yes, There is a button with Motorola logo there on the other side of Headset mic. It allows you to change music, attend call and even access Touchless Control. Excited? Long press Headset button and Touchless Control app will activated and waits for its owners command. Never pick your Moto out from your pocket. # Tip: Spotlight Stories: Enjoy the power of sensors. Spotlight stories are are cartoon stories on App named "Spotlight" which uses the powers of sensors in Moto X. Currently there are three stories released (Windy Day, Buggy night and Duet) while writing this review.